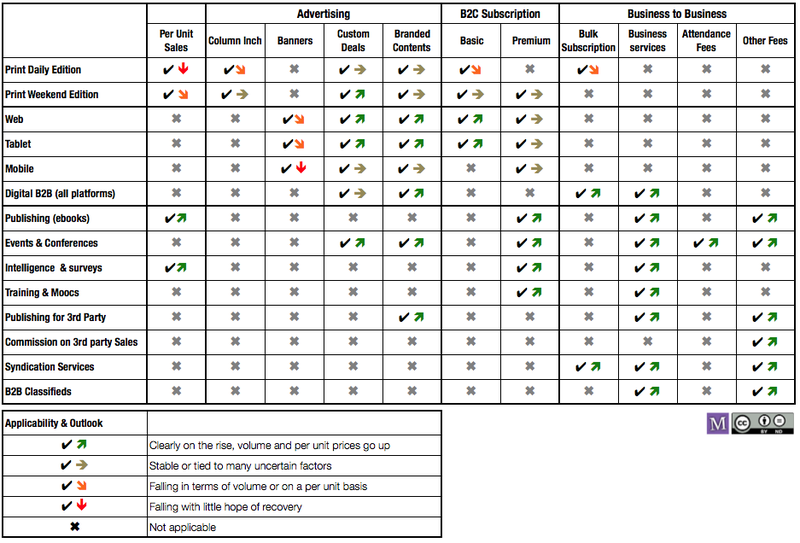 Publishers struggle with newer and more complex business models. Some appear stronger than others but, above all, a broad palette is a must. It is a means to capture emerging opportunities and to compensate for the drying up of older revenue sources. Today, I submit the following revenue matrix for a modern, content-rich news outlet.